Onésime Pouliot is the 5th of an 11 children family. 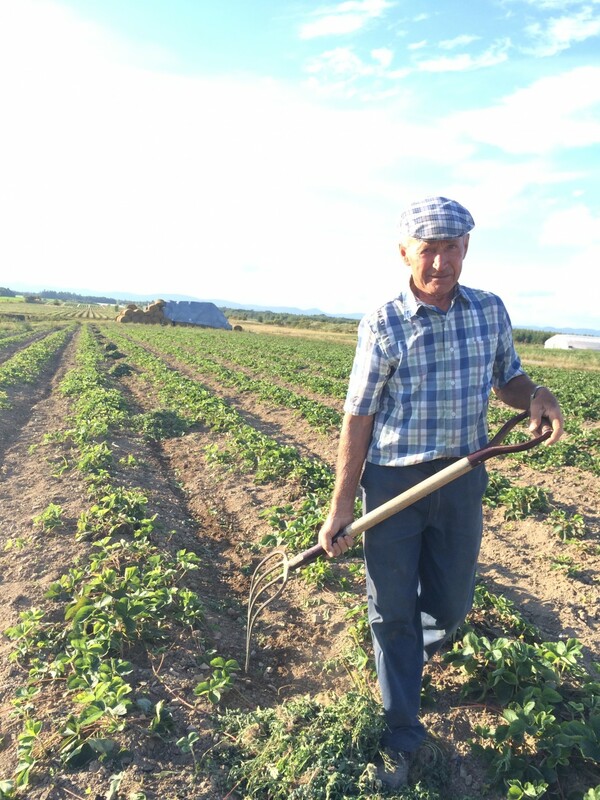 Born in 1940, he works on the farm since his youngest age with his father, Xavier. 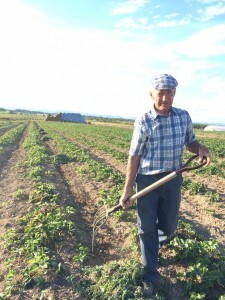 He took over his father’s farm with the help of his wife, Georgette. At that time, the farm was a familial company where brothers, sisters and cousins were helping during summer. In 2001, he transfers the farm to his two sons, Guy and Daniel. They represent the 11th generation of the Pouliot farmers at the Île d’Orléans, including seven consecutive generations on the same lands. Although he transferred the farm to his two sons, Onésime is still a very active volunteer on the farm. The company still has its familial spirit. Manon and Nadia, Daniel and Guy’ sisters, participate actively on a regular basis, while the grandchildren of Onésime and Georgette experience their first summer job. Eight Pouliot are still involved in the farm, which counts in the peak season around 180 employees. Guy Pouliot, co-owner of the farm since 2001, is the older brother. He completed a Bachelor’s degree in Business Administration at Laval University in 1994. He is responsible of the administrative side of the company and he is in charge of the sales and marketing. Guy is also involved, in collaboration with the office team, in decision making about the seasonal agricultural workers and all the human resources. 2003 to 2014 : Secretary and Treasurer of the Coopérative d’utilisation de machinerie agricole de l’Île d’Orléans. 2005 : Member of the board of directors of the Réseau de lutte intégrée Orléans (RLIO) and Chairman of the board from 2006 to 2011. 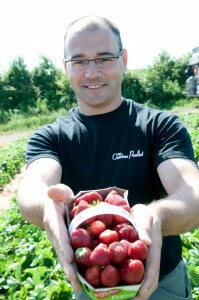 2007 : Member of the board of directors of the Association des producteurs de fraises et framboises du Québec, and Second Vice-president since 2010. 2006 to 2009 : Club Agroenvironnemental de la Rive-Nord(CARN) has elected Guy as Member of the board of directors and Vice-president. 2009 to 2011 : President of Agri-conseils Capitale-Nationale et Côte-Nord. 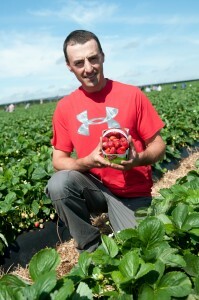 Daniel Pouliot, co-owner of the farm since 2001, is the youngest brother. He completed a Bachelor’s degree in Agronomy in 1996 at Laval University. Daniel is in charge of the crop management. He is also involved in the research and development projects, in close collaboration with the research team. 2002 to 2006 : Member of the board of directors of the Syndicat de base UPA Île d’Orléans. Since 2005 : President of the certification mark Savoir-faire Île d’Orléans. Since 2006 : Member of the board of directors of the Centre Local de développement (CLD) and Vice-president of the Syndicat de base UPA Île d’Orléans.